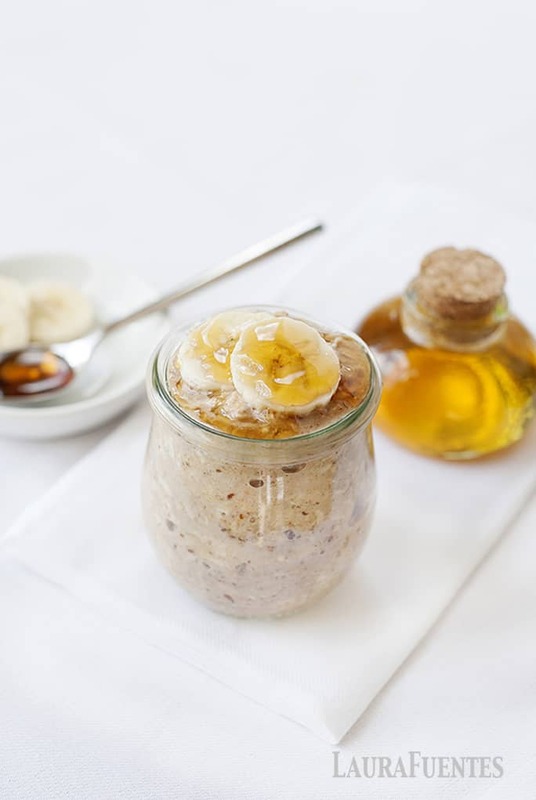 These honey, almond butter, and banana overnight oats have a delicious touch of sweetness with every bite, giving this nutritious breakfast idea a natural energy boost to help us start the day. 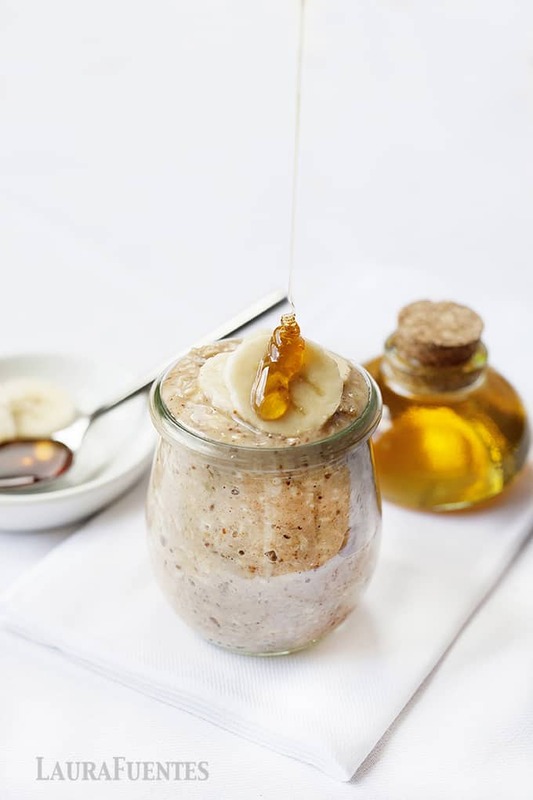 As you can see from the video, overnight oats are really easy to make. What I love about this particular recipe is that there is no cooking required, just a quick assembly line of ingredients and the refrigerator (plus time) does the rest. If you follow this blog, you know that I’m always trying and creating recipes that can become grab-and-go fuel for our busy mornings. What you might not know is that I pack breakfast for my husband daily, which he proceeds to eat at the office a few hours later. He likes to eat these honey overnight oats lightly warmed in the microwave, while I tend to eat them cold. I’m on a mission to prove that eating healthier as a family doesn’t have to be difficult. You can use fresh, whole ingredients without spending hours in the kitchen or making meals that will spark protest from the kids. I found that recipes like this were so popular among my readers, I decided to create a 30-day whole eating plan called the Family KickStart Program. It focuses on food your whole family can enjoy together while eliminating sugars and processed food. Check out the Family KickStart Program here. I also love making healthy breakfasts to fuel my kids for the day. Between school, karate, swim team, gymnastics, theater classes, and everything else my kids are doing, they need a lot of energy to be active kids. During the week, I prefer to feed them nutritious breakfasts like oats, eggs, or fresh fruit and yogurt so they’ll be full until lunchtime or their school snack (banana chips is a current favorite). And this lightly honey-sweetened breakfast does just that! 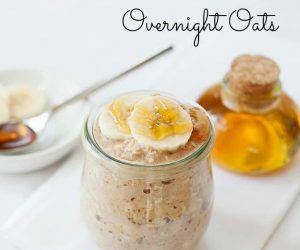 Sure, you can make oatmeal in the morning and drizzle it with honey, but overnight oats have a thicker and heartier texture that I just love to eat. This recipe is also one that my kids can help prepare. They can measure the ingredients and pour them into the mason jars. My daughter, who loves honey, always tries to sneak an extra drizzle or two in her jars. Some of my favorite memories happened when my kids were helping me in the kitchen! What do you love to drizzle honey over? 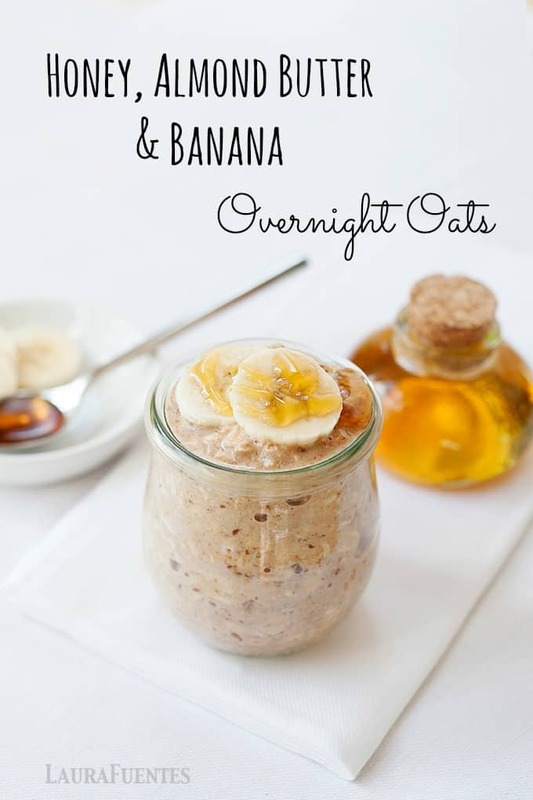 Overnight oats are a great way to have a delicious and nutritious breakfast ready to go in the morning. On a flat surface, place 4 bowls or lidded glass jars. Fill each with 1/2 teaspoon ground flax, 1/2 cup oats, 3/4 cup milk, and1 tablespoon almond butter. We mainly use honey and syrup for sweetening in our house, so we go through a lot of honey. I buy it from a local farm so it is extra delish! I think my kids fave is probably your oven “fried” bananas recipe! I think hubby enjoys it most drizzled over plain ole’ Os cereal. My favorite honey uses are in homemade granola and homemade graham crackers… but that’s just at this moment. We ♡ it so many ways. This looks so good! Can I prep multiple at a time? Absolutely! The recipe makes 4. You can make more for sure!